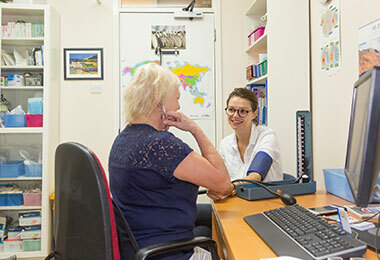 We want to ensure we are delivering services around our populations, and that all patients can access the same offer of care irrespective of which practice they are registered with. Improving Health are providing a number of services through practices and within central hubs which are outlined below. Some of these services aim to identify potential health issues e.g. high blood pressure, earlier on so they can be proactively managed and prevent avoidable health conditions. Others aim to support patients with long-term conditions or more complex needs through comprehensively assessing their needs and providing on-going support. PHM also focuses on improving the management of long term conditions and patient experience. What does each practice in South Southwark do to provide PHM?